When you’re traveling, it’s often necessary to give up certain comforts and conveniences that you would have at home. One thing you shouldn’t be giving up, though, is clean air. Whether you’re staying with a relative or at a chain hotel, you can make sure that the air you’re breathing is as healthy as possible by bringing along a travel air purifier. Here’s what you should know about using an air purifier while you’re on the road and three of the units we recommend for taking with you wherever you go. 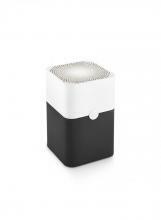 What Features Should a Travel Air Purifier Have? The first and most important feature of a good air purifier for traveling is its size. While larger air purifiers are great for home use, you don’t want to be hauling one into and out of a hotel room every night. Ideally, units for use on the road should be small enough to be carried easily and weigh as little as possible. It’s also important to think about the kind of filtration you’ll need. Obviously, dust, pollen and other particulates are the first things most people think of in terms of air purification. 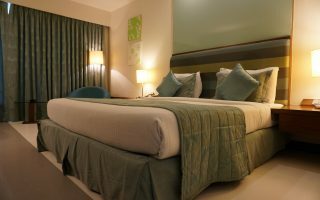 In hotel rooms, though, you’ll likely be exposed to some residual chemicals due to the daily cleanings the rooms are put through. For this reason, an air purifier with at least some ability to filter VOCs may be worth considering, especially if you have asthma or some other form of chemical sensitivity. What Are the Best Air Purifiers for Traveling? The Airfree Onix is a filterless air purifier that uses a thermal core to target bacteria, viruses, mold, dust, dander, pollen and other particulates. Although it can’t target VOCs or odors, this unit is a great option for travelers without chemical sensitivities. At 3.3 pounds, the Onix can easily be carried wherever you need it, while its ability to cover up to 650 square feet makes it useful for even large hotel rooms. The Blueair 211+ is a HEPA air purifier that features a foldable carbon filter that gives it some ability to target gases and VOCs. This unit can clean spaces of up to 540 square feet. While it’s a bit heavier than the others at 13 pounds, the 211+ is still light and compact enough to be moved fairly easily. 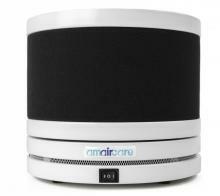 If you’re looking for the best travel air purifier, the Amaircare Roomaid VOC is a very strong contender. This 5-pound unit can cover up to 300 square feet of space and offers both true HEPA filtration and a carbon filter that can effectively target gases, odors and VOCs. Best of all, the Amaircare Roomaid VOC can be plugged into the cigarette lighter of your car and used while you’re driving! We also have a blog post on the Roomaid’s status as the best car air purifier we offer if you want to learn more about using this unit while you’re driving. Whether you’re on the road frequently for business or just planning for an upcoming vacation, one of these travel air purifiers may be the right model to give you access to clean air, no matter where you end up. Have questions about these or any of the other units sold here at US Air Purifiers? We’re here to help! Feel free to contact us with your questions, and we’ll be happy to provide you with answers and personalized product recommendations based on your needs.